Long before I danced with my daddy at my wedding, we used to dance in the living room together; my feet standing on top of his, dancing around to Paul Simon. It's easy to admit that he is my very first love, and the memories I have of us spending time together are irreplaceable. It's so nice to see schools and families coming together to celebrate the love between a dad and his daughter. We're all about helping to create special moments + memories, and this is another event type that we love being a part of. 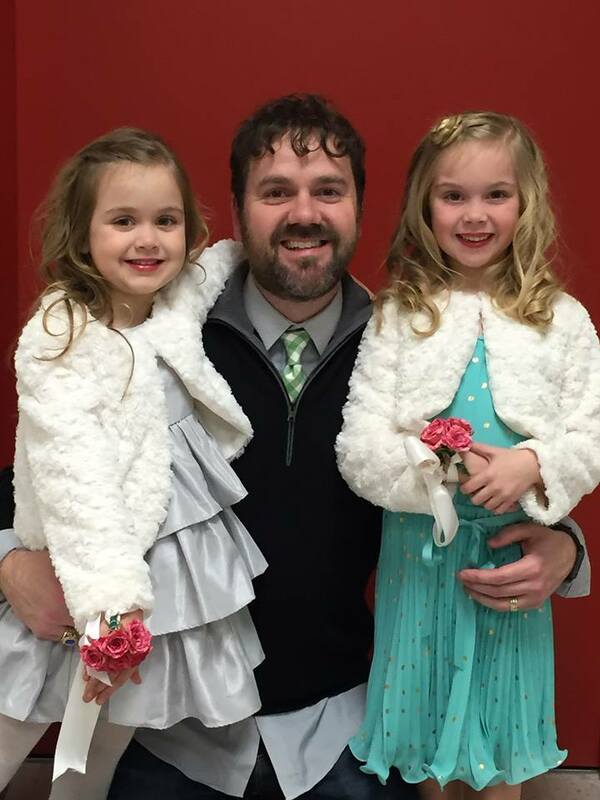 Daddy/Daughter Dances are not only fun for us, but it's also a special event for two of our DJ's, whom are both dads to daughters, Brian Snyder and Bradley Ford. These events are always full of love, laughter, lights, and breaking out new moves to the hottest pop songs on the charts! This was our second year to be a part of FRA's daddy daughter dance. The girls love to run around and the Dad’s in this group are always so spirited and willing to let Brad pull them out on the floor. 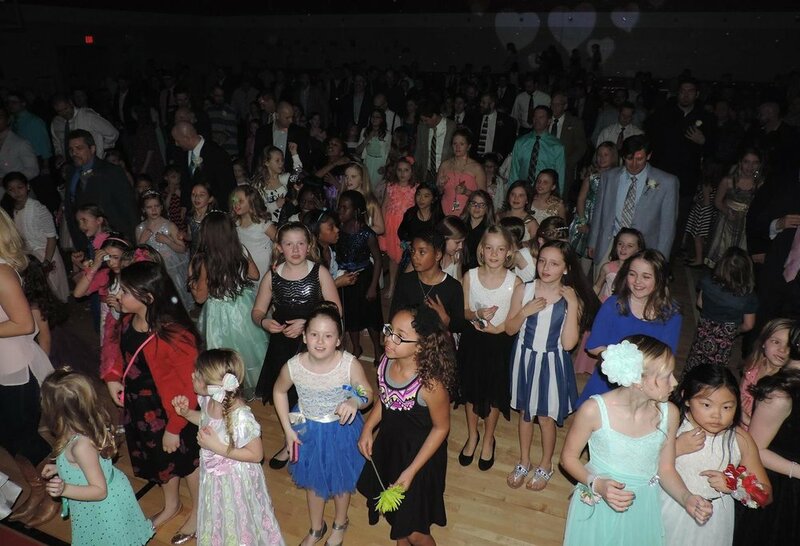 Brad said, "This year I enjoyed getting the girls to pull their dads into a giant Dance Circle, I played It’s Tricky by Run DMC and the Dad’s took a few turns getting in the middle. Their daughters LOVED that! But I don’t think too many of them wanted to be singled out so it didn’t take long for them to collapse the circle and just start an all dance. But that was the point to get them out there and they threw down pretty good." We are so glad that we're able to partner with FRA for this event! A lot of these dances takes place in the schools gym, so Snyder Entertainment is usually responsible for transforming the space into a room made for this special daddy + daughter date night. In the past we've used up-lighting to change the colors of the room with laser lighting and intelligent dance lights to move as the tempo of the music changes. To keep the love in the air, we can add a gobo/monogram light of hearts on the back wall or we can customize one with the schools mascot, the theme of the night, and more! Snyder Entertainment can also provide our own haze machines to create atmosphere effects, which allows the lighting to show up and stand out really well. The best part of our haze machine is that, unlike our fog machine, it doesn't appear as thick and it dissipates in the air once it reaches the ceiling. Professional line dance instructors is one of the services that Snyder Entertainment can provide for any event. 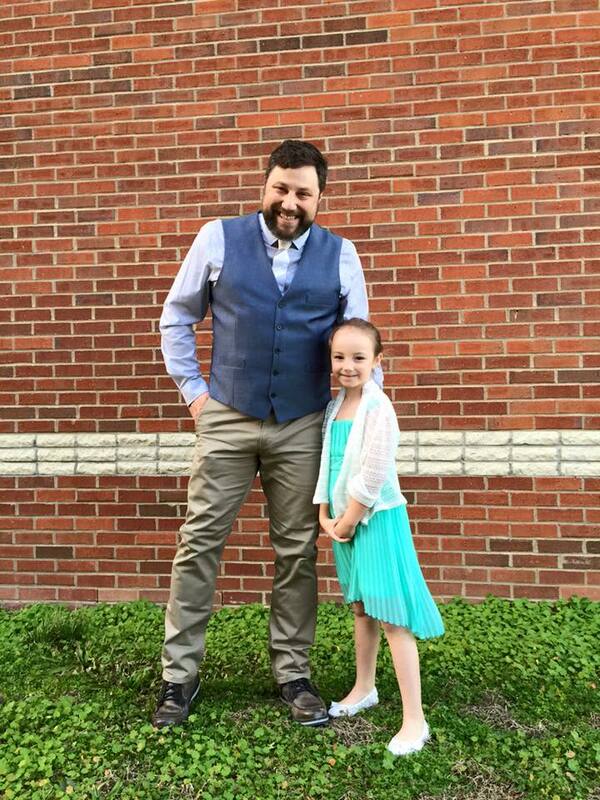 Brittany, one of our line dance instructors, partnered with us last year for a Daddy Daughter dance in Nolensville. She started out the evening teaching basic line-dance moves to the song "Cheerleader" by Omi, then building off of those steps, she incorporated those with other dance moves to different songs throughout the night. Brittany led the group on a soul-line to songs by the Black Eyed Peas and Walk the Moon. 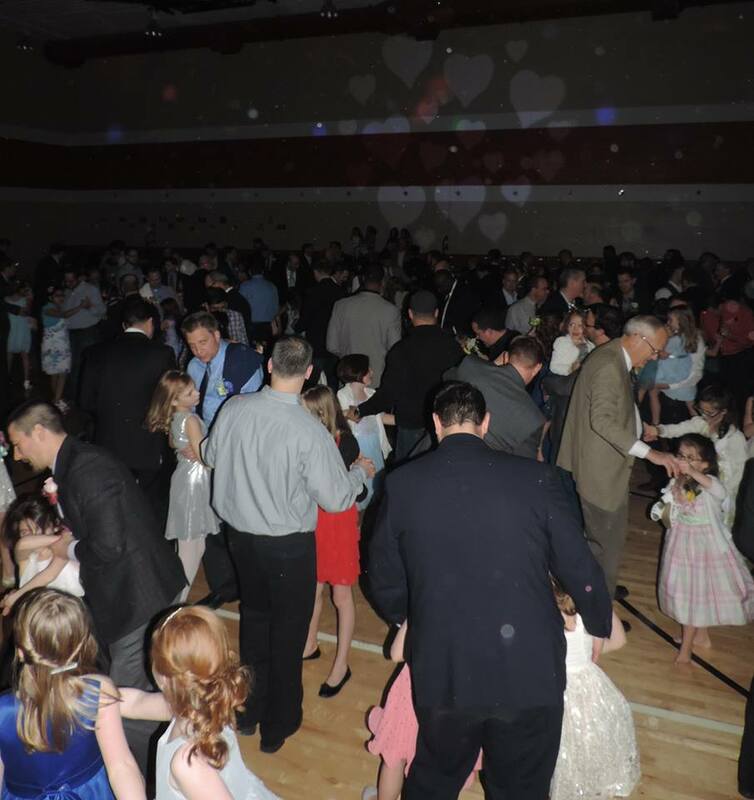 To keep everyone involved, she divided the room with all of the dads on one side and daughters on the other to mirror each others moves, and even taught them how to do the Cupid Shuffle! Brittany taught the group how to do the very popular Whip and Nae Nae, and knowing that song would be highly anticipated, she worked with the assigned DJ to create a playlist to match the dance moves. To end the evening, Brittany taught dads and daughters how to slow dance to "My Girl" by The Temptations; it was a sweet ending to the event. We always have so much fun working with Brittany and the other instructors, and guests always love it. Line Dance Instructors are a wonderful and fun element to add to any dance party! Other options that would be fun to add to a dance like this includes our open air photo booths, videography, Step & Repeat photography, party enhancers, and live music just to name a few! For a full list of services, contact us below. If you or your organization is looking to host a dance party, contact us today!